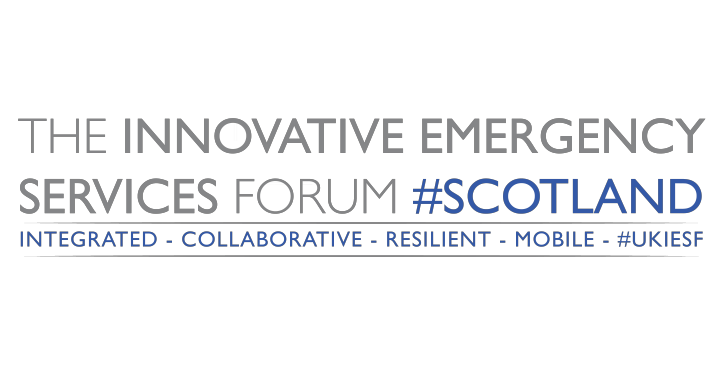 We were invited by the Scottish Government to bring the Natural Hazards Partnership stand to the Innovative Emergency Services Forum #UKIESF in Glasgow on the 23rd February. The #UKIESF provides a platform for experts from across the emergency services community to showcase innovative technologies to better deliver their services. Despite the wrath of Storm Doris and amber snow warnings in Scotland the event had a good attendance. The Glasgow #UKIESF focused on partnership working and the use of new technologies to assist emergency responders with major incidents. We fitted in very well with this theme due to our strong emphasis on collaboration and also the Hazard Impact Modelling Group’s innovative Hazard Impact Modelling Project. The stand provided the perfect platform to showcase the work of the Natural Hazards Partnership to the attendees which included first responders from across the country as well as the Cabinet Office and Scottish Government. 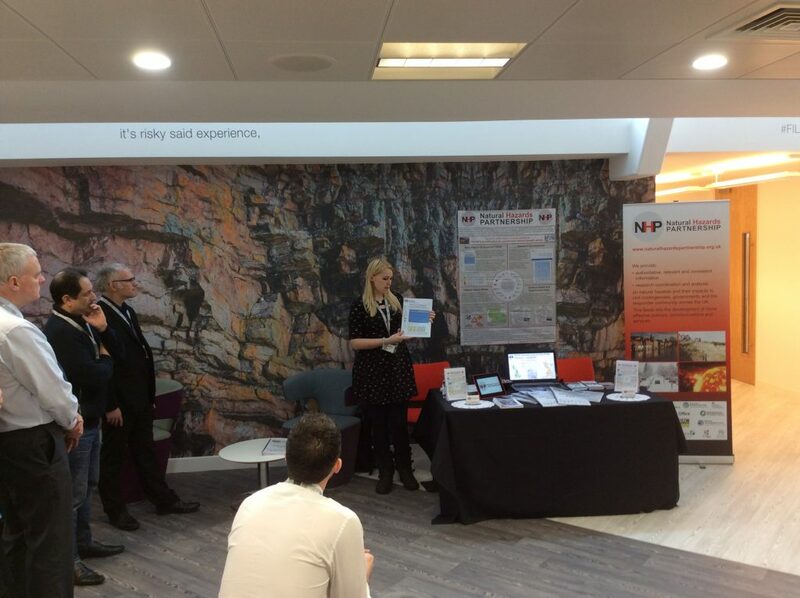 The NHP Daily Hazard Assessment was well received by all and we highlighted the Hazard Impact Models we are developing and trialling and how they are used to forecast impacts and risk. We were praised by a member of the fire service as ‘awesome’ while showcasing our Science Notes and Hazards Overviews. 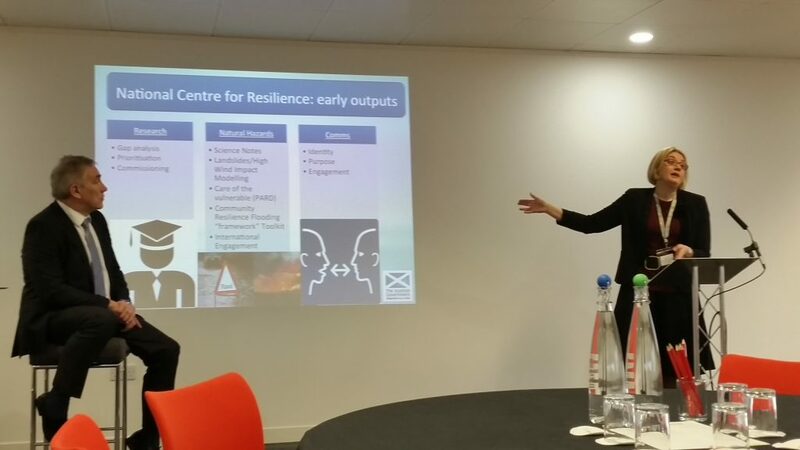 We found the talks on the Scottish National Centre for Resilience and its future direction very interesting and useful as we are already strategic partners with the centre and are looking to strengthen links. We also found the DGVOST project to be an innovative idea with its combination of social media information gathering and provision of information to the public during major incidents, and it has the potential to be rolled out more widely. Overall we found it very valuable experience and were extremely pleased to be part of the event. Talking to the responders highlighted the need for simple, authoritative information presented in a useful way and emphasised to us that the work of the Natural Hazards Partnership is widely valued. Becky presenting the work of the Natural Hazards Partnership to the forum attendees. Alessia describing the work of the Scottish National Centre for Resilience and links with the work of the Natural Hazards Partnership.